. يعمل ميركيور ميلبورن ألبرت بارك على ضمان إقامة مريحة لضيوفه من خلال خدماته الممتازة وحسن ضيافته. إن خدمة الغرف على مدار الساعة, أمن على مدار 24 ساعة, خدمة التنظيف يوميًا, خدمات بريدية, خدمة سيارات الأجرة هي جزء فقط من الخدمات التي تميز ميركيور ميلبورن ألبرت بارك عن باقي الفنادق في المدينة. تعكس غرف الفندق البالغ عددها 209 المنتشرة في 9 طوابق جواً من الدفء والألفة.خدمات عصرية مثل تلفزيون بشاشة مسطحة, منقي الهواء, سجاد, قهوة فورية مجانية, شاي مجاني موجودة في بعض الغرف المختارة. يقدم الفندق مجموعة واسعة من وسائل الراحة المتنوعة، كمثل: حوض استحمام ساخن, مركز للياقة البدنية, ساونا, مسار جولف - ضمن 3 كم, حمام سباحة داخلي. إن ميركيور ميلبورن ألبرت بارك هو خيار ذكي بالنسبة للمسافرين إلى ملبورن، بما يوفره من إقامة هادئة ومرحة. يرجى ملاحظة أن خدمة انتظار السيارات بخادم متوفرة لقاء رسوم إضافية تتراوح بين 27.50 USD و29.50 USD. يرجى الاتصال بالفندق للحصول على مزيدٍ من المعلومات. I stayed in this hotel on a Sunday night by myself. The overnight stay is ok but around 9am on the following morning when I was getting myself changed, a male staff used his key card and opened my door without knocking, asking me if I requested anything... I was shocked... I said NO... Not sure what would have happened if I was not awake/ I was taking shower/ I was away... This is my first time staying here and will be a once in a lifetime experience. I have to admit that the atrium is good; the room size is decent; the sound proof is not bad at this price (so I give 3 out of 10)but I'm paranoid and do not want to experience any thrill like this. If any one doesn't mind this then it will be a 10 out of 10 hotel. The good: Friendly staff, convenient location, next to the lake (perfect for morning jog), have a good size gym (opens at 6:30, which is great) plus swimming pool. 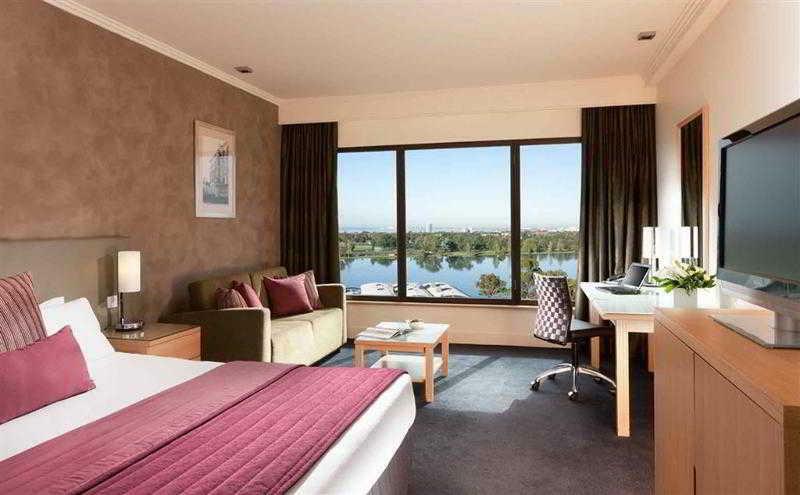 The bad: Parking is expensive ($20/day, but I guess that's norm in Melbourne), room sound isolation is not good - can hear next room talk/laughs, room does not feel clean - only acceptable, mattress is too soft, and the worst is the towel - has a funny smell. Will I choose this hotel again? For business trip yes I would but I will bring my own towel this time. For family trip I might choose another place. Overall was good, the only downside was the next door was some party animals who turned music so loud and shouting and cheering when they are around, it's not the hotel's fault, good thing they went out for the night and did not return, so we had a good sleep, if not, it would have been a nightmare. We in town overnight for a show and found the Mercure a pleasant stay. Location was ideal and the staff were friendly, helpful and showed an attentive interest. 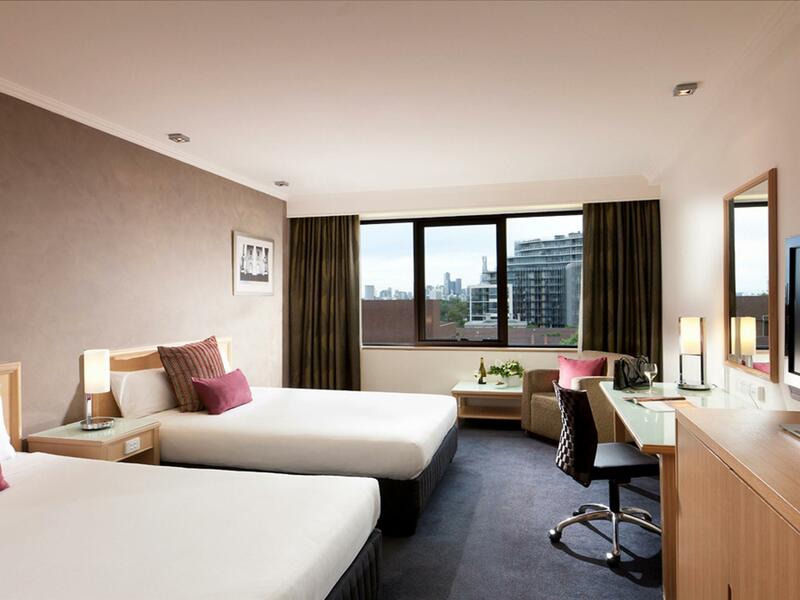 Fantastic stay at the Mercure - great location close to public transport, quick ride to CBD, spacious rooms, friendly staff. Will stay here again if we come back to Melbourne! Booked this place for a conference (i.e. Fast Forward Summit 2017) and it certainly did the job. 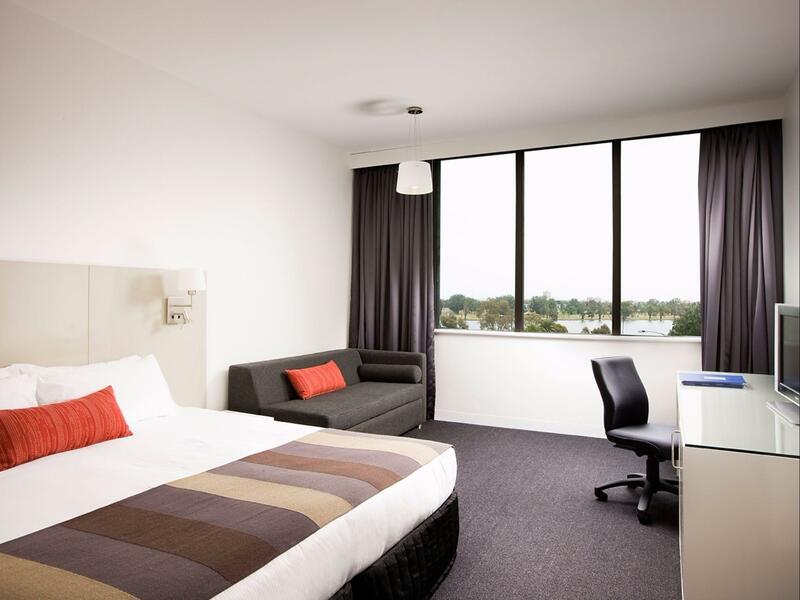 Room was elegant, clean and staff were extremely accommodating. Only thing I would suggest is to renovate the showers as they're a little old.. Thank you Mercure team! The parking is very expensive. The hotel location, near several lines of the ram, is excellence. The room was clean and spacious. The receprion staff was polite and helpful. They assist me in getting taxi to the international airport, very early in the morning. The house keeper service was effecient. The hotel has in its facility a very good restaurant. Recently stayed for the F1 Grand Prix. Naturally the rate skyrocketed, however the room and cleanliness of the hotel was appalling. Mould ridden bathroom with broken taps and next to zero water pressure. Corridor hallways dirty for days. Decor that appears to be 20 years old+. Room service neglected to replace towels. Robbery at $400+ p/night for a twin room. Absolute extortion. The hotel was amazing and the staff were friendly in welcoming me even though I had a very late check in. The room was huge and always courteous housekeeping. I extended my stay as I believe the value for money for the excellent service and location was worth it. The location, facilities and cleanliness were excellent. Especially to the concierge staff for helping me out especially Rhett. It was really worth it to stay in the hotel. We were impressed with the excellent concierge service and good food quality. Enjoyed the indoor pool. Despite asking for a quiet room due my daughter's chronic illness, we were given a room near Queens Rd which was very noisy. Renovations on the floor above also added to the discomfort. 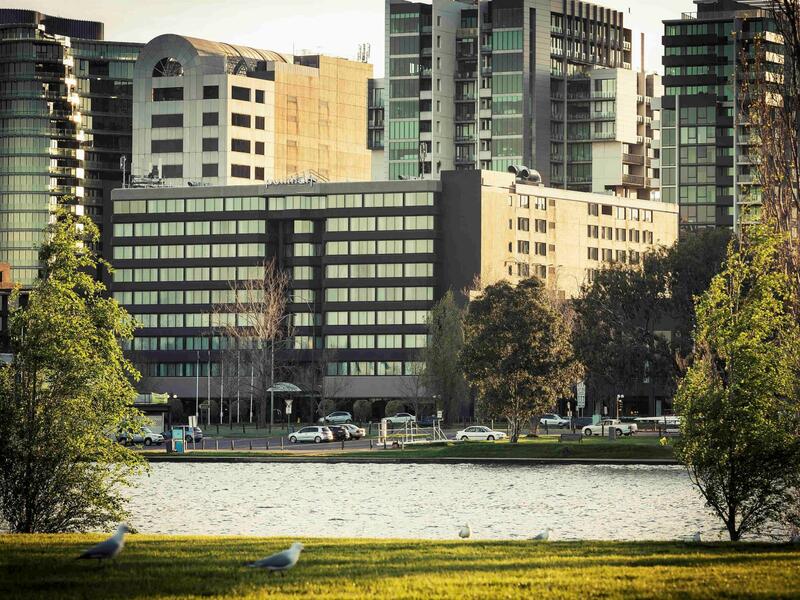 The trade off was being close to specialists on St Kilda Rd, and the Lake for walks. Nice hotel with gym, indoor pool and suana. Staffs are very helpful. No free wifi is provided in the hotel room unless the reception sign you up to be their member. Parking is expensive $32 per night or $64 per day for vallet (so you could go in and out anytime). We could not find free on street parking around the hotel during our stay. Better catch tram to go to city or hire the car from hertz near the hotel if you need car when you stay here. We were lucky to get a discounted room rate. 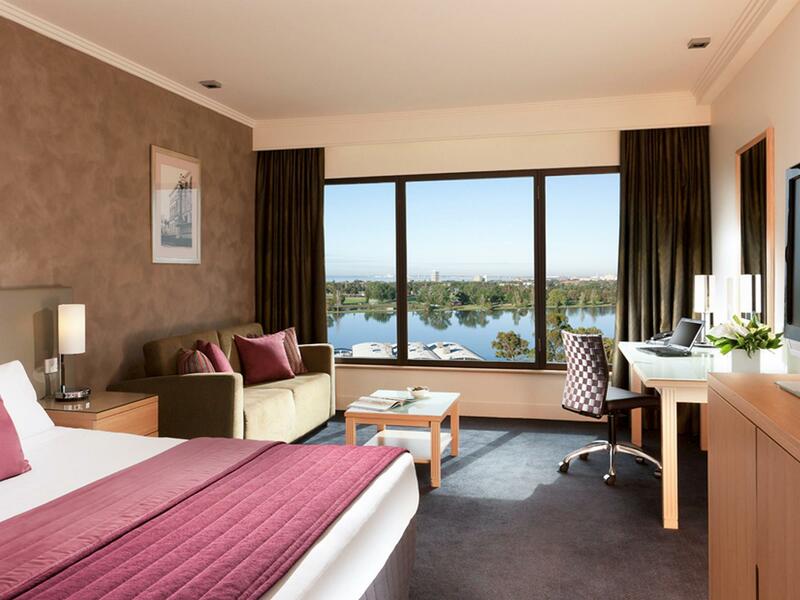 The room was clean, luxurious and just what we needed for a city stay. Our only down side was that our room is sometimes used as an adjoining family room and we could hear all our neighbour’s noises through the adjoining door. But all in all, it was a great stay. We were put into smoke filled rooms. Upon lodging a complaint and requesting to be relocated which took at least 2 follow ups and having to collect the new room access key from reception due to lack of service or care by the front line reception staff. The response from the front line staff to my suggestion that staff need to inspect rooms and deodorise if necessary before checking guest in was they cannot stop guest from smoking in the rooms. Hardly the type of response I expect from this type of hotel. Great hotel ... just felt a bit ripped off that I was told could only park car outside of hotel for 15 mins and then I needed to pay for parking. The options were self park for $16 or valet for $31. I said I would self park (keep a few $$$ in my pocket) and said mentioned I would be going in and out during the day. That response got me another criteria for parking. If I went in and out I would be charged $16 each time I left the car park. So, feeling like the gun was at my head I paid the valet parking. Interestingly I didn't need to go out for four hours after I checked in and I noticed that my car stayed for the whole time out the front (not just 15 mins). The hotel itself is great but the parking episode was a dampener to the stay.